Just as you are, you are welcomed here! Douglas uses a musically blended service, with both contemporary, traditional, and ancient music being part of the service. There is child/nursery care provided during the service and light refreshments with coffee and tea are served following the service downstairs from the Sanctuary in Grant Hall. The sanctuary is wheelchair accessible, and individual hearing loops are provided for anyone who is hearing impaired. 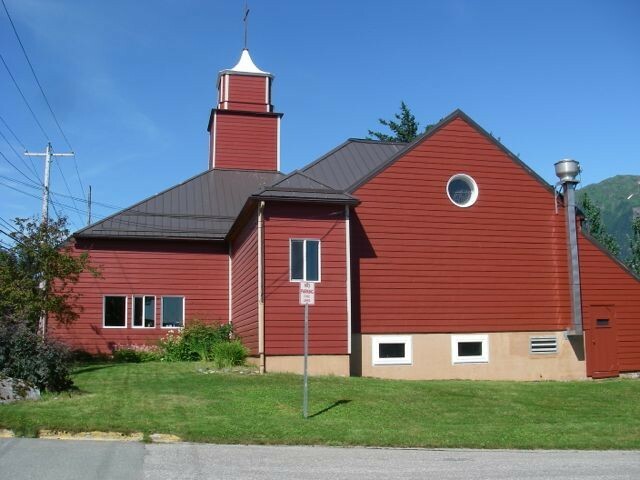 Douglas Community United Methodist Church is a Reconciling Congregation supporting the work of Reconciling Ministries by welcoming everyone to fully participate in worship regardless of sexual orientation or gender identity. Claudette Curtis along with Emily and Corey Wall present a "One Room" Sunday School class for school age children, working from curriculum designed to accommodate multi-aged groups in one space. Sunday School takes place in the downstairs classroom immediately following Children's Time during Worship at about 11:45 a.m. There is no Sunday School on the 1st Sundays of the Month. Special services also occur throughout the year, usually on Ash Wednesday, Maundy Thursday, and Christmas Eve Candlelight Service. Douglas uses a musically blended service, with both contemporary, traditional, and ancient music being part of the service.